Once considered a subversive tradition reserved for sailors, criminals, and those lacking moral fiber, tattoos have secured a solid place in ordinary society. The tattoo industry has become massive; a recent study found that the industry, including piercing and tattoo removal, is estimated to be worth $3 Billion. The industry has changed drastically over the past few decades.Electric tattoo machines have undergone redesign after redesign and techniques have evolved. And the quality of tattoos has increased substantially. 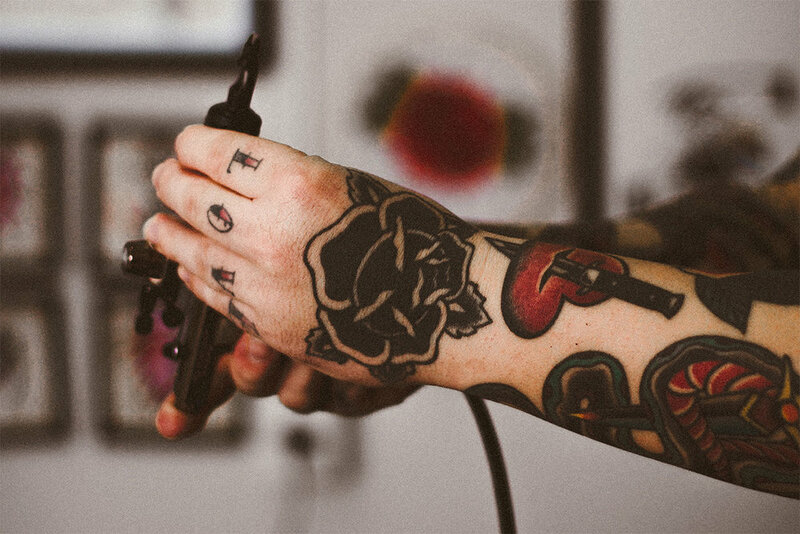 Thanks to television and movies, images of stereotypical dark and dirty tattoo parlours still linger for some, allowing some stigma to remain. But step into a modern tattoo shop today and the thing you'll notice first and foremost is the smell -- hospital grade disinfectant. Low buzzing sounds come from the machines and art hangs from the walls. From black and white portraits to colourful swooping Japanese-style dragons to almost cartoonlike traditional tattoos, it quickly becomes apparent that the tattoo artists in these shops are quite literally artists. Steady hands meticulously execute their craft. They spend years perfecting their drawing and design skills along with mastering the technical aspects of the tattoo machinery as apprentices to eventually become licensed professionals. 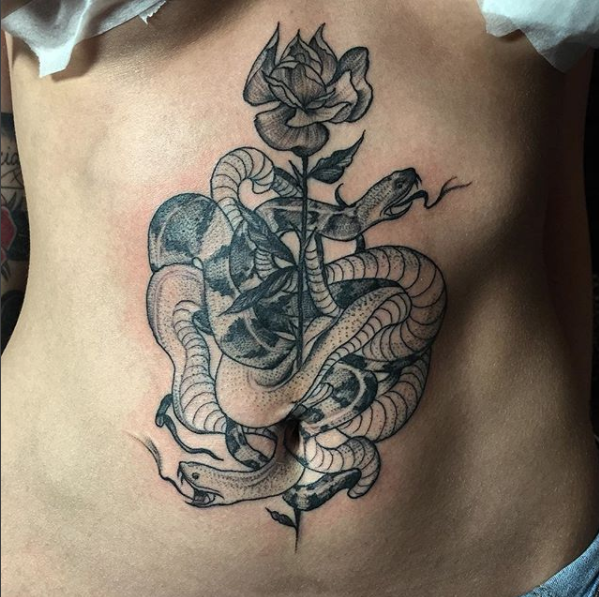 And, as any fine artist does, many tattoo artists have a style in which they excel or prefer to work in -- something to note if you're looking for the perfect artist for your next (or first) tattoo. 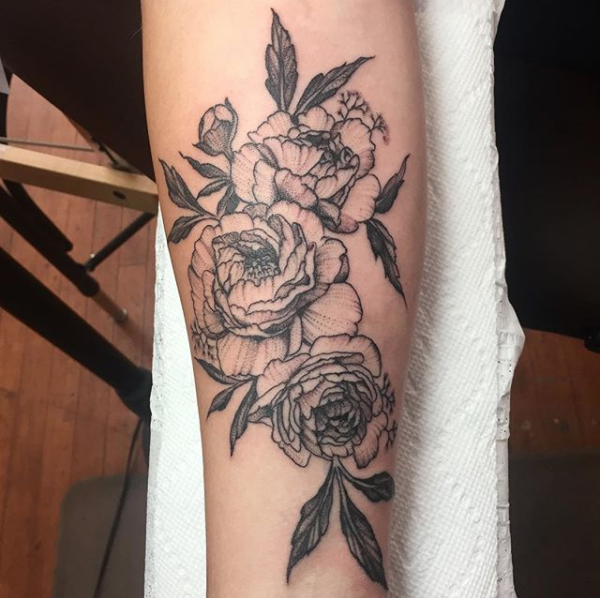 Tattoos have become part of many people's identities; visual representations of their passions, relationships, and milestones that they can carry forever. Some tattoo enthusiasts collect tattoos as one would collect art, sometimes spending thousands of dollars on a single piece or traveling to be tattooed by their favourite artist. The meaning of one's tattoos is subjective. Tattoos are deeply personal and yet, sometimes not. Tattoos as art have been shown in fine art galleries like the Royal Ontario Museum's show Tattoos: Ritual. Identity. Obsession. Art, and the Virginia Museum of Fine Art's show Japanese Tattoo: Perseverance, Art, and Tradition. 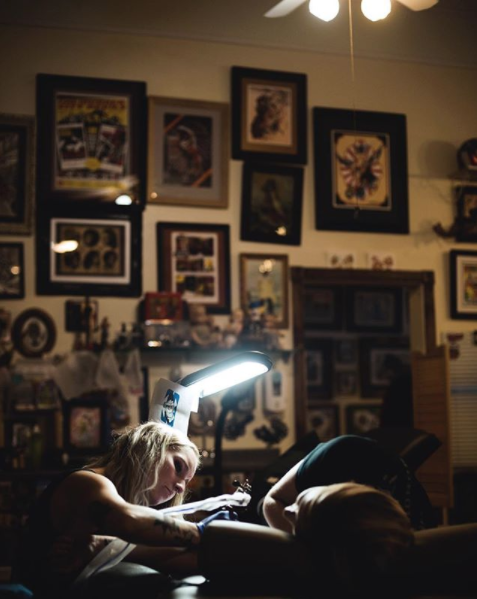 Similar to the art fairs of the art world, conventions held around the world allow tattoo shops to showcase their work in their hometowns or at conventions in distant cities. These conventions grant visitors the opportunity to visit hundreds of artists at a time and see live demonstrations. Is it all just a trend? Possibly. But tattoos are far from new. Outside of the Western world, tattoos have been deeply steeped in many cultures and religions for centuries. So while some may cringe at the thought of tattoos as art, it is important to remember that there is major historical significance behind the art of tattooing the world over. For just a taste of these beautiful histories and rituals, a few links for your pleasure: Japanese Tattoo History - My Modern Met, Between the Lines - Inuit Facial Tattoos, Skin Stories: The Art and Culture of Polynesian Tattoo - PBS, Looking at the World's Tattoos - An article from Smithsonian. Art mediums are constantly evolving and changing and as the art world, maybe unwillingly at times, moves slowly into the 21st Century and as stigma drips away, there is no doubt that the tattoo will become a member of the ranks. Cesar A. Cruz famously said, "Art should comfort the disturbed and disturb the comfortable," and the tattoo industry expertly manages to do just that. Before starting her career as a tattoo artist at No Coast Tattoo Megan Felix obtained her BFA with an emphasis in painting. Felix hasn't been in the industry for long but is already making waves in Fargo, North Dakota where she lives with her husband and their beloved cat Margie. She's been voted best tattoo artist by locals two years in a row and continues to impress with her talent. ArtMoi (AM):What sparked your interest in becoming a tattoo artist? Meg Felix (MF): I started getting little tattoos when I was 18 and it turned into something I could see myself doing as a profession. I was finishing up my last two years of college and trying to figure out my next step outside of academia. All of my friends were getting tattooed by Noah [Kilsdonk] when he worked at 46&2 so I started getting some traditional tattoos from him as well. Since I was going to school for painting we started bullshitting about art and it gradually sparked my interest in tattooing. He told me to show him some of my work and put together a portfolio. So that's just what I did. I was attempting to draw traditional tattoos for my friends and Noah would clean them up and tattoo it. Once the guys got the space for the new shop I started my apprenticeship. MF: Traditional with a little more detail. I also enjoy antiques and vintage imagery so I think sometimes that comes through, too. AM: Did you have an interest in art growing up? MF: Yes, ever since I was a little kid art was always my top interest. It just became something that was so natural for me to be drawn to. I never really felt like I wanted to do anything else. 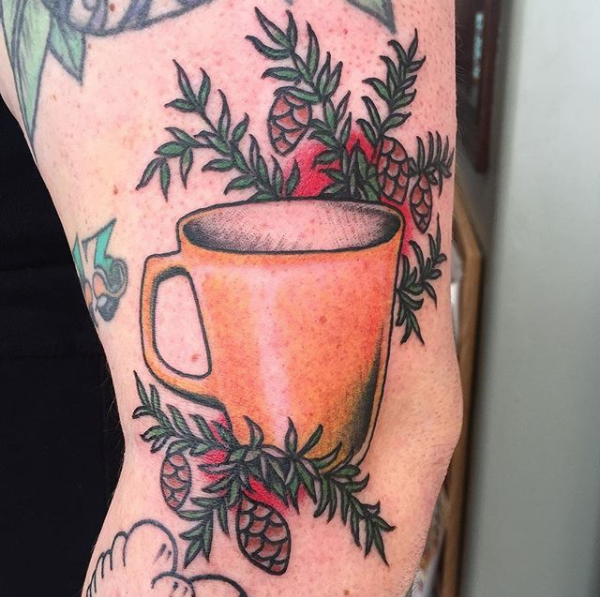 AM: Is there an artist, tattoo or other, that inspires you? MF: When I was more involved with painting I took inspiration from masters like Rembrandt and Odd Nerdrum; Jason Shawn Alexander and Shawn Barber. As far as tattooing, it is overwhelming how many amazing tattooers there are! I have been lucky enough to get tattooed by Civ in New York and he left a pretty huge influence on me from the way he tattoos and his outlook on life. I also admire Chad Koeplinger, Dave Halsey, Mike Fite and tons of other tattooers. AM: Where do you see the future of tattooing going? MF: I don't know, I am still new to tattooing in comparison to people who have been in the game for a long time but hopefully it continues to thrive. I'm sure it will go through different fads like everything else but hopefully, it still keeps it's grungy charm and stays true to its history. AM: Finally, do you see tattoos as art. 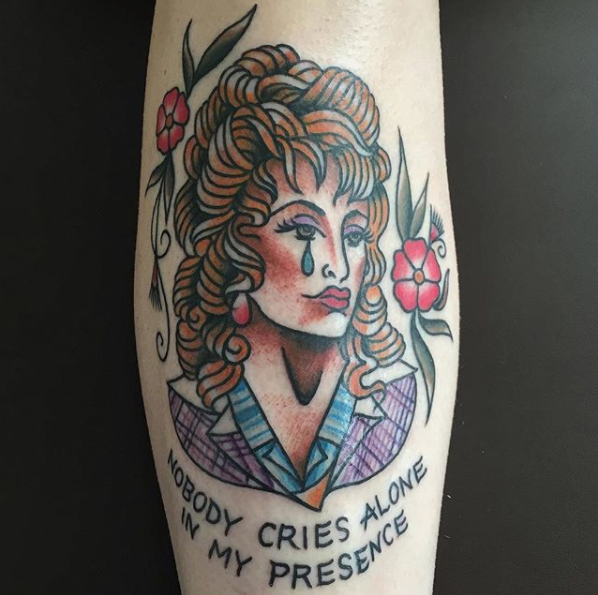 You can find Meg at No Coast Tattoo in Fargo, ND. Follow her on Instagram here!